Amelia the Queen has perfected her royal wave and is seeking a new palace to call her own. 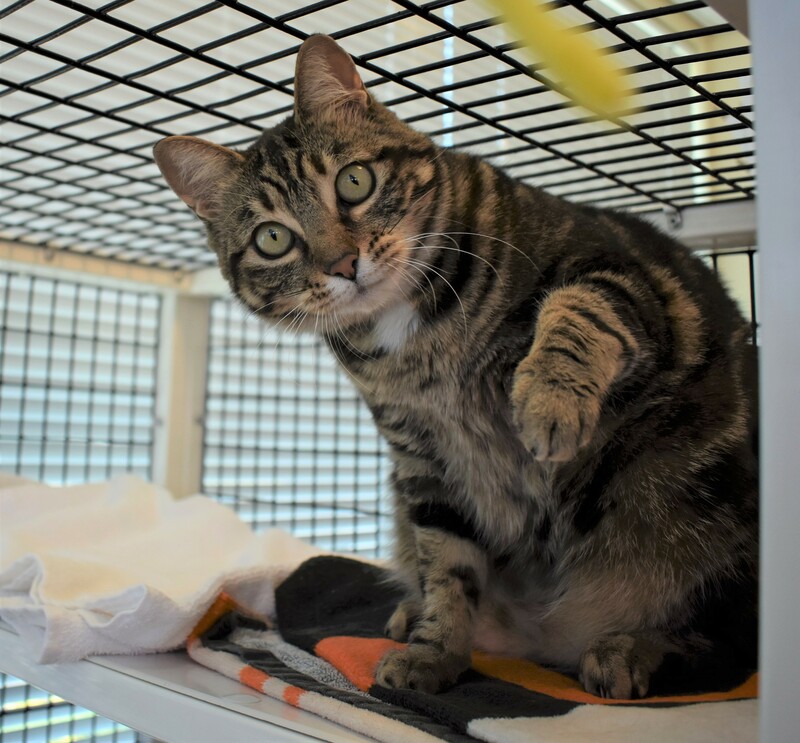 This one year old spayed female brown tabby is extremely outgoing, playful and affectionate. She also loves to nibble on catnip. Like a true Queen, Amelia prefers to have all the attention and adoration to herself and should be the only pet in a household. Looking for feline Queen to steal your heart and your spot on the sofa? Ask for Amelia ID# A842201.